STAUNTON – Get ready to go back in time with Staunton’s Victorian Spring Fling, there’s a bucha business news coming out of Waynesboro and the local Food Lion grocery stores will be seeing some updates — here’s the buzz. 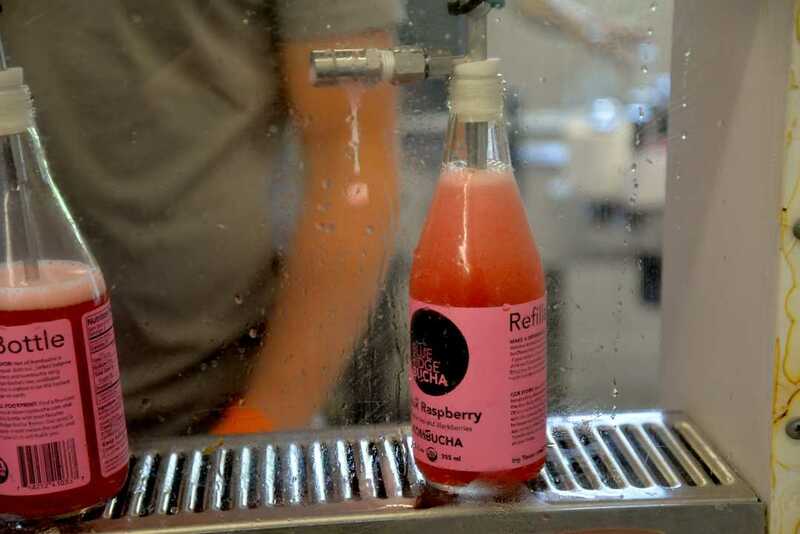 Waynesboro-based kombucha taproom and distribution Blue Ridge Bucha is expanding its footprint. The company was founded in 2010 in a 500-square-foot former wood shop at the home of Kate and Ethan Zuckerman in Afton. In 2018, Blue Ridge Bucha expanded its business to Waynesboro with a larger space of 1,800 square feet. The new spot is at 1809 E. Main St. in what used to house Perfect Flavor, an organic ice cream shop, about five years ago. Now, the company is expanding into four more states — Pennsylvania, New Jersey, Ohio and Kentucky. Whole Foods Market will be offering five flavors of Blue Ridge Bucha in all 58 of its Mid-Atlantic stores in Washington D.C., Maryland, Virginia, Pennsylvania, New Jersey, Ohio and Kentucky. The company has earned the title of Best Non-Alcoholic Beverage in the Blue Ridge from readers of Blue Ridge Outdoors Magazine and Outstanding American Manufacturing Small Business award presented by the SCORE Association. Renovations are coming to the area’s Food Lion stores. According to an announcement from the grocery store chain, the company is investing $40 million to remodel 23 stores in 14 towns and cities throughout the Charlottesville and Harrisonburg communities. Renovations are expected to be completed by the summer. The renovations will also come with new hires. According to a release, Food Lion is expecting to hire nearly 400 new associates at the 23 stores. The stores will offer an expanded variety and assortment of products that are relevant to customers in each community, such as more local, natural, organic and gluten-free items, the release said. The remodeled stores will help enhance customer service and expand the variety of Food Lion’s brand Nature’s Promise beef, pork and poultry – which are products free from unwanted ingredients like artificial additives, preservatives and colors. Each of the 23 stores will remain open during their normal business hours during the remodel process. Food Lion will have remodeled 80 percent of its network of more than 1,000 stores across its 10-state operating area once these renovations are complete, a release said. A Victorian Spring Fling is coming to Stelle Rose at the Staunton Train Station April 20 to celebrate spring with a Victorian twist. Hosted by the Medieval Fantasies Company Gyfte Shoppe in Staunton, the event is from 11 a.m. to 5 p.m. The event will include Victorian performers, seasonal treats, children games and activities throughout the day as well as a Downtown Staunton Egg Hunt, according to the event’s Facebook page. Children are encouraged to join in traditional activities such as Easter bonnet parade, egg and spoon race, bunny ring toss as well as playing historic games such as graces and hop scotch, the site said. Participation in the activities and games are free and open to the public. Activities include Victorian tea and games at the Frederick House, an ice cream social hosted by Mary Baldwin University at the Wharf, making spring crafts at Cherish Every Moment, fortune telling at H.L. Lang & Company Jewelers, a pop-up spring flower show at the CoArt Gallery and a kitten petting zoo at Harmony Moon from 1 to 4 p.m.
You can reach reporter Laura Peters at [email protected]. Follow her @peterslaura.